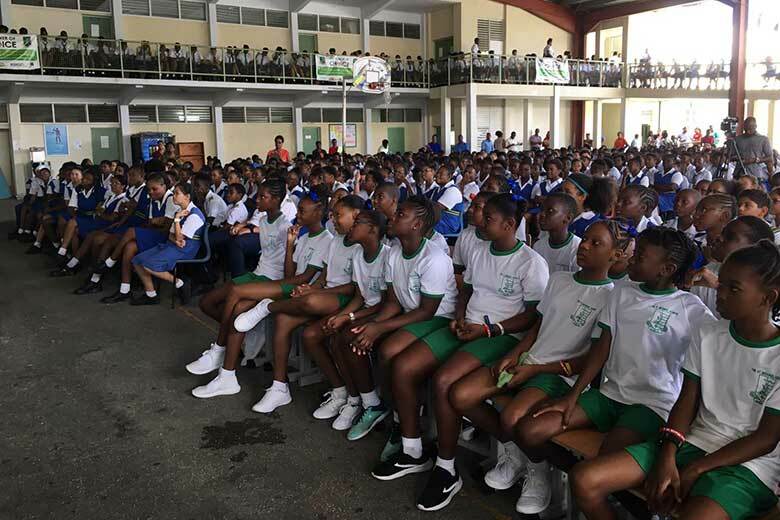 The Healthy Caribbean Coalition and some of its member CSOs are now taking the Call to Action against Childhood Obesity Prevention to Caribbean schools. The main objectives are to arm the region’s children with information about the dangers of an unhealthy lifestyle and the choices they can make to safeguard their health. The second objective is to also encourage the children to show support for childhood obesity by signing the HCC’S call to action. 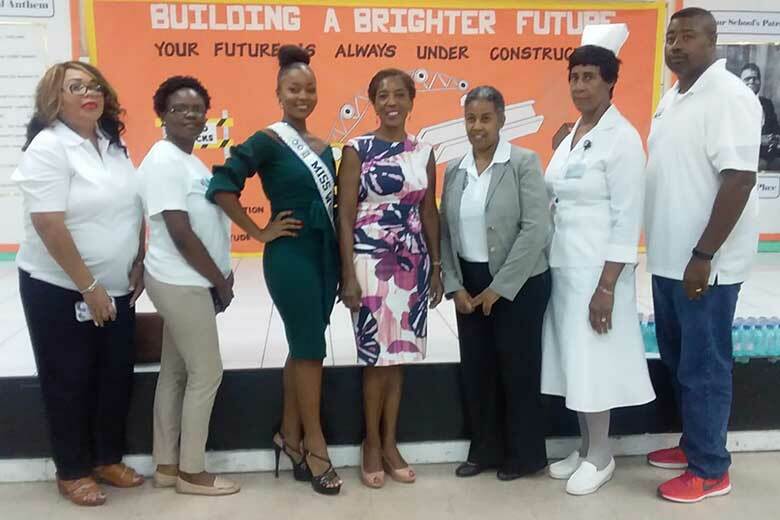 Outreach activities have already started in the Bahamas and Grenada. On Monday October 1st, the HCC in collaboration with its CSO partners launched the Schools outreach in Barbados at the St Michael’s School. The Launch event gave a peak into the format of the Outreach inclusive of fun exercise activities and interactive games which allow for children to learn more about the dangers of too much sugar sweetened beverages. Speaking at the launch was Barbados’ Minister of Health and Wellness, the Honourable Col. Jeffrey Bostic. Minister Bostic, who just recently returned from UNHLM3, fully endorsed the HCC led Initiative and appealed to the students to make healthier food choices. Also speaking at the launch was the CEO of The Heart and Stroke Foundation, Fiona Anthony, Principal Mayers of the St Michael’s School and Executive Director of HCC, Maisha Hutton. 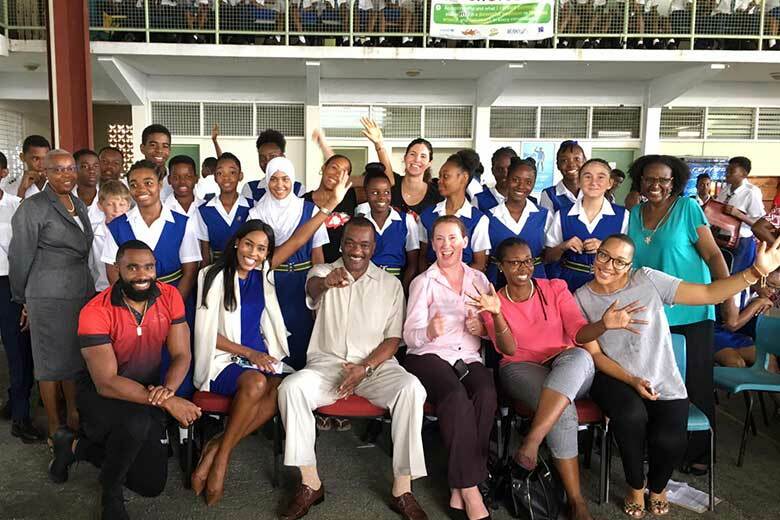 The HCC in collaboration with other CSOs in Barbados hope to carry the message of Childhood Obesity Prevention to secondary schools across the country over the coming months. See the Schools Outreach photo gallery here.